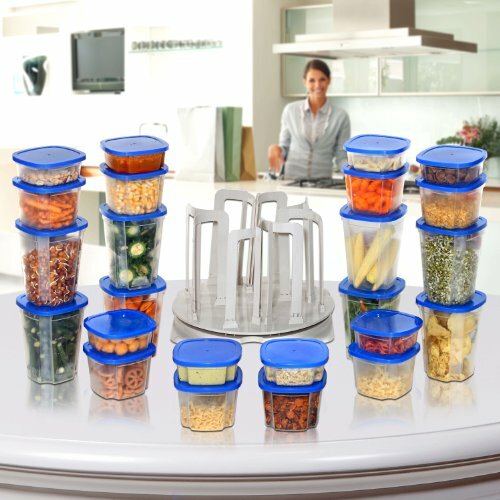 Tired of disorganized plastic containers? 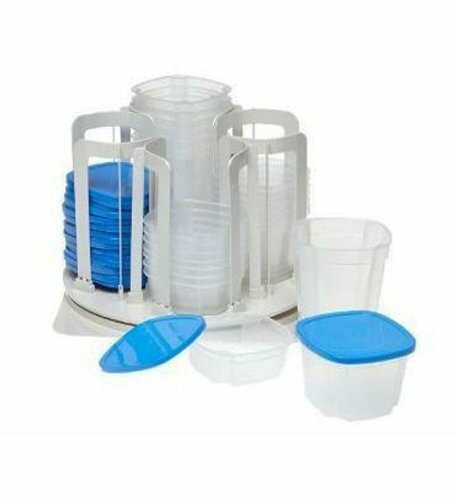 This unique carousel sorts and arranges all your containers and lids in less than one square foot. Just spin the carousel and choose your desired container size. The carousel comes with 24 containers in various sizes, plus lids. Smart Spin 49-Piece Storage System: Organize all your storage needs in less than one square foot Carousel’s unique patented design slides forward, then spins, for easy selection Includes 24 containers in three different sizes 1 x Smart Spin unique carousel 8 x 24oz smart spin containers. 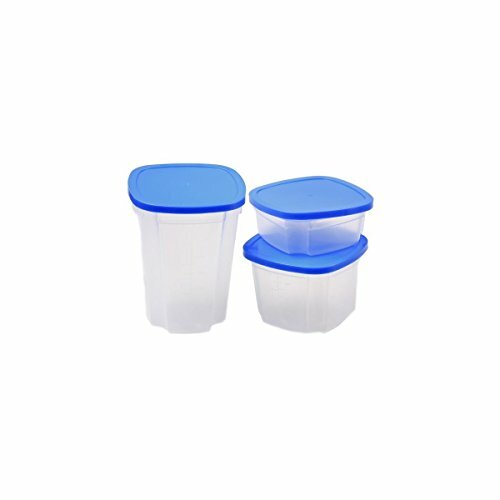 8 x 16oz smart spin containers, 8 x 6oz smart spin containers 24 x locking lids-one size fits all, 24 x smart spin easy peel lids One size lid fits all containers Microwave and dishwasher safe Keeps leftovers fresh Spill-proof lidsTried of disorganized plastic containers? 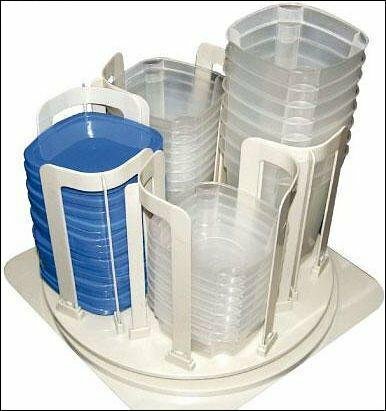 This unique carousel sorts and arranges all your containers and lids in less than one square foot. The carousel comes with 24 containers in various sizes, plus lids.